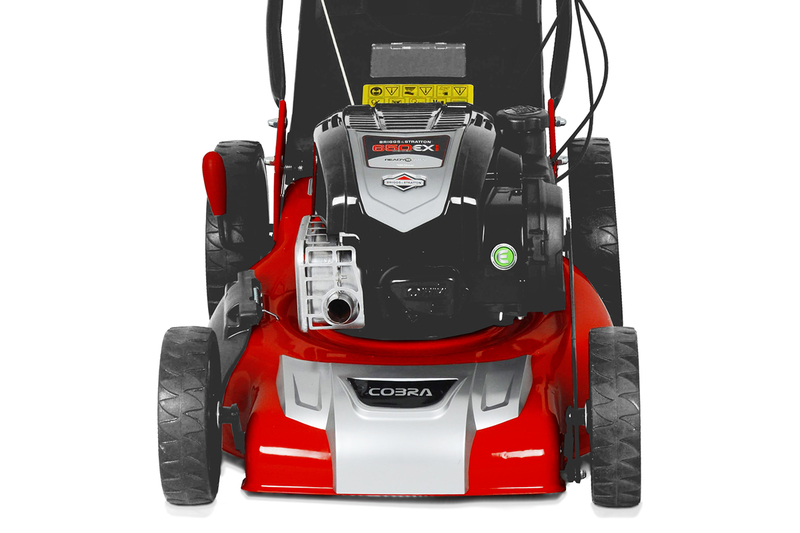 With exceptional performance and style, the Cobra M56SPB petrol 4-in-1 lawnmower is powered by a B&S 650EXI Series engine and can either mulch, side / rear discharge or collect grass clippings. 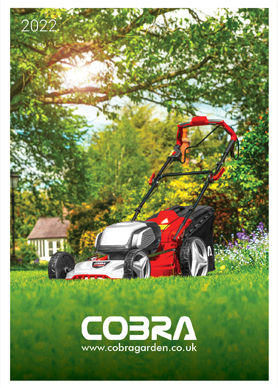 The M56SPB lawnmower from Cobra comes equipped with a mulch plug to enable you to mulch your grass clippings back into the lawn. 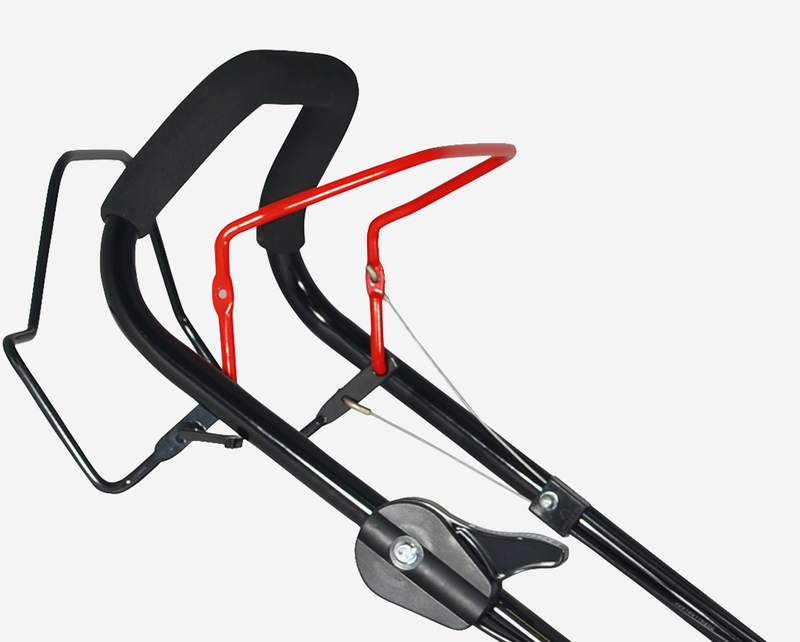 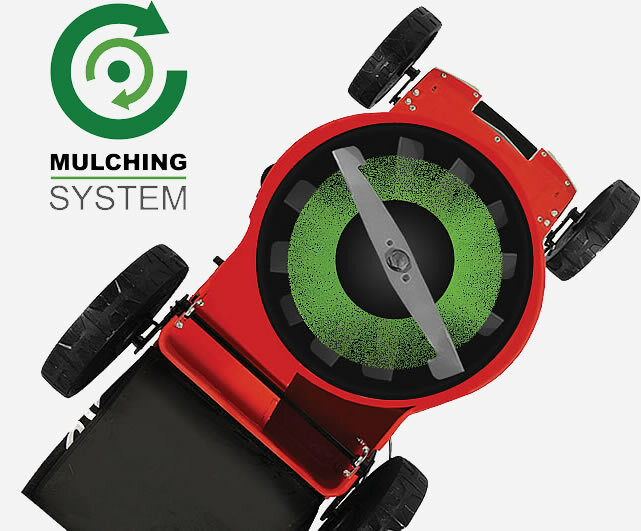 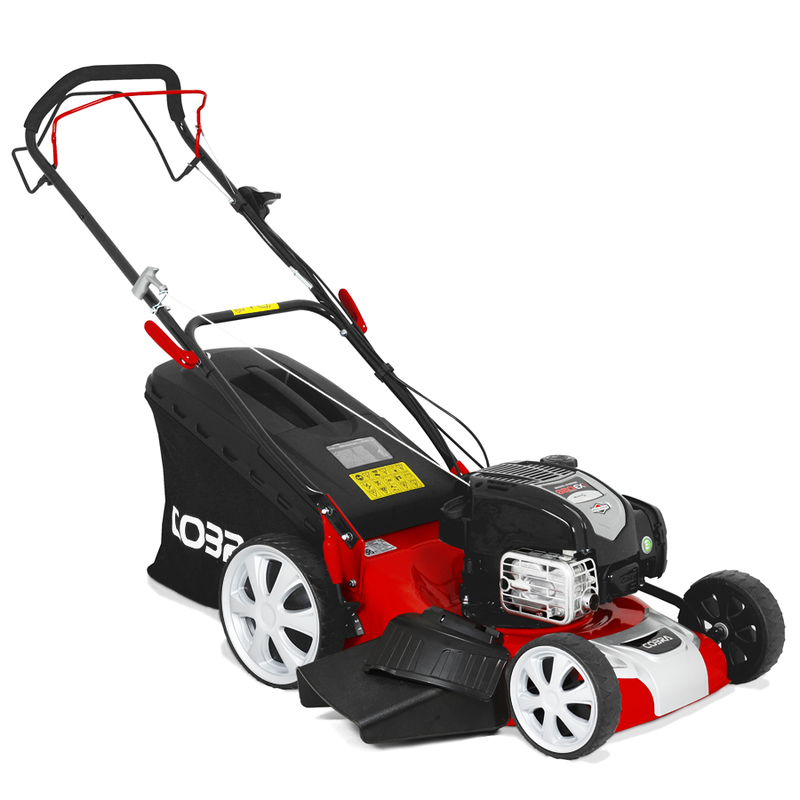 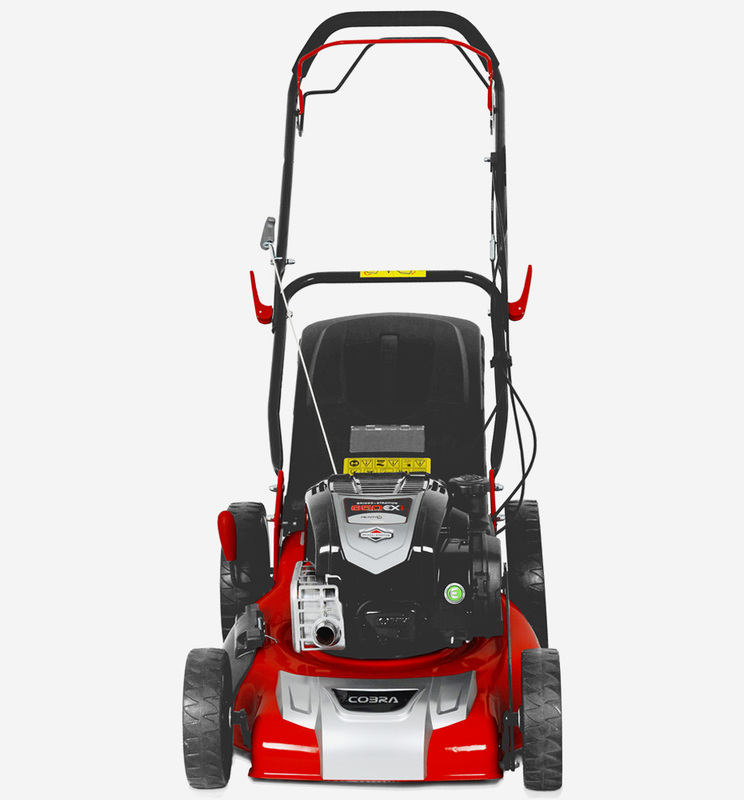 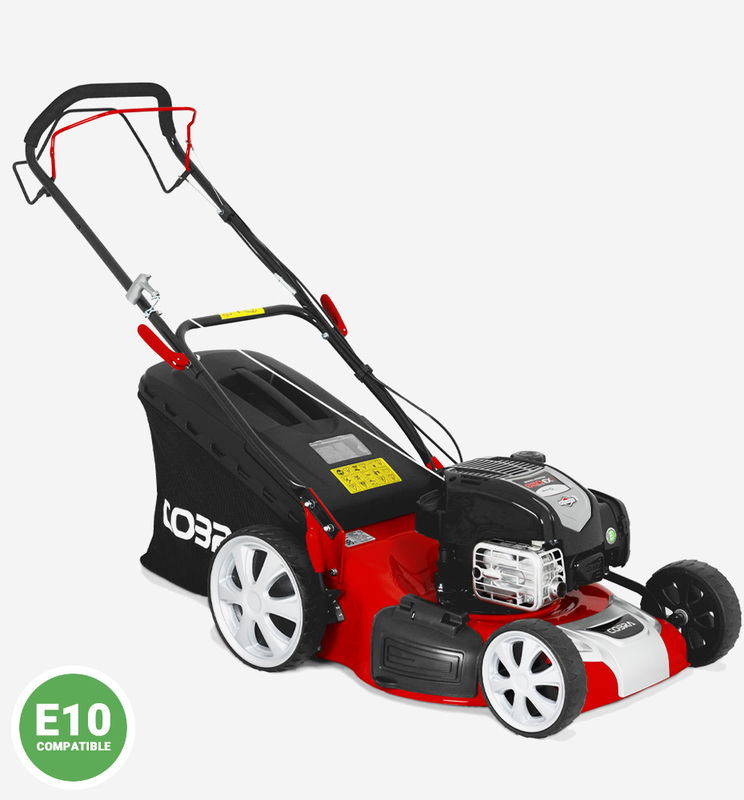 If you don't want to collect your grass cuttings or your lawn has become overgrown, the M56SPB comes equipped with a side discharge function. 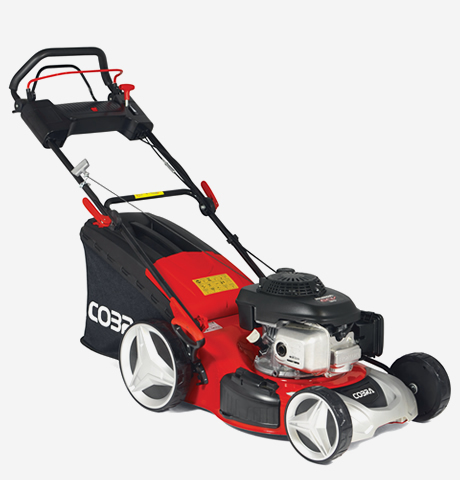 The Cobra M56SPB petrol lawnmower is equipped with a 70ltr fabric grass bag, ideal for collecting large amounts of grass clippings before the need for emptying. 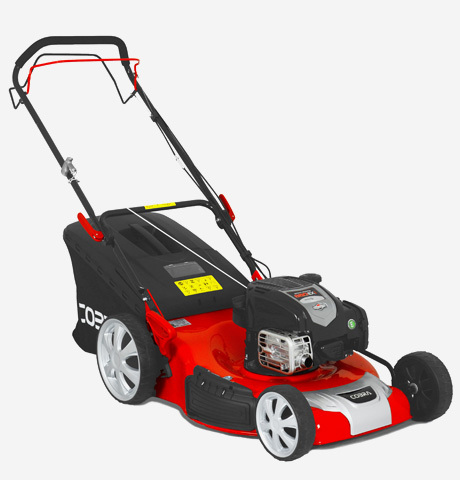 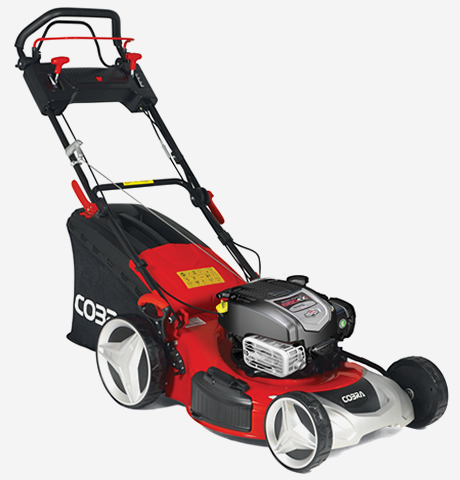 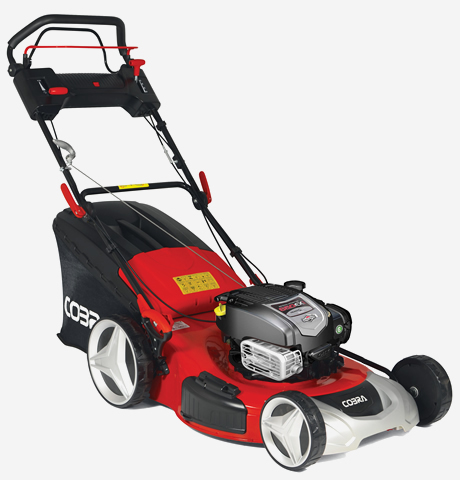 The Cobra M56SPB petrol lawnmower has 10 adjustable cutting heights ranging from 25mm for a superb low finish, up to 80mm for tackling longer grass.